May 30, 2013 – Make no mistake: we would not be in this position today if the Penn State Board of Trustees had the decency to demand due process and real truth in understanding the Sandusky scandal as far back as November 2011. There has been much criticism of the NCAA for the baseless and overreaching sanctions they levied on Penn State nearly a year ago. 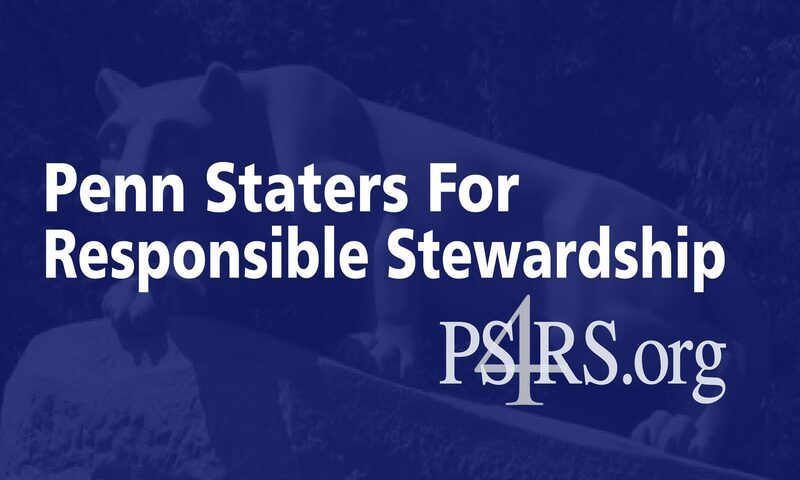 Speaking for Penn State alumni and supporters, who have been saddened and beyond frustrated by not only the unfairness, but by the role our own Trustees’ played in acquiescing to the outrageous demands, Penn Staters for Responsible Stewardship (PS4RS) is in complete support of the lawsuit filed today. It is time to get the Freeh Report into a court of law and to fully understand why such conjecture would be so readily accepted, promoting a narrative that is not only false, but further damaging to the university and the greater Penn State community. PS4RS hopes the ultimate outcome of today’s courageous action is the uncovering of the real truths surrounding the Sandusky scandal, and knowledge that will truly help protect the children of Pennsylvania. To date, the Trustees’ blind acceptance of the Freeh procedure and report has been nothing but harmful to the State College community, alumni, faculty, students, and, most importantly, to the children. Thank you to the Paterno family for filing a lawsuit and forcing this situation into court.